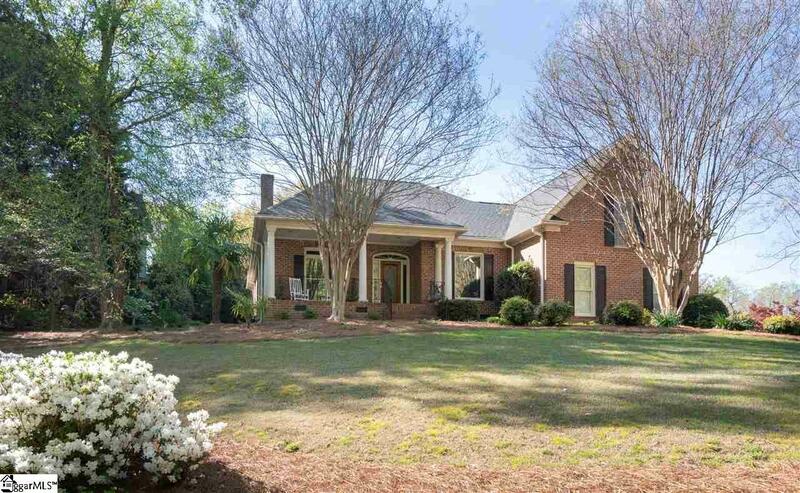 Updated custom home on wonderful tree lined corner/cul-de-sac lot in sought after Thornblade! This all-brick traditional features a fantastic open floor plan perfect for entertaining. 9 ft+ ceilings and beautiful crown molding throughout the main level. Separate living/dining rooms. Fabulous den with gas fireplace and beautiful built-ins overlooks large screened-in porch, covered patio and thoughtfully landscaped backyard with peaceful waterfall. Updated kitchen with granite countertops and newer appliances opens to large keeping room. Master on the main level offers separate sinks, HUGE walk-in closet and separate tub/shower. Upstairs features two gracious sized bedrooms - each with private bath - and accessible storage. Separate half staircase leads to bonus/flex room and private 4th bedroom/bath. Large two car garage with large storage closet. This exceptional home offers unlimited possibilities! Easy access to I-85, shopping, restaurants, great schools and the area?s best Country Club (host of the BMW Charity Classic) with world class golf, tennis facility and pool. Schedule your showing today!